Unlike years past I haven't really jumped into Easter this year. 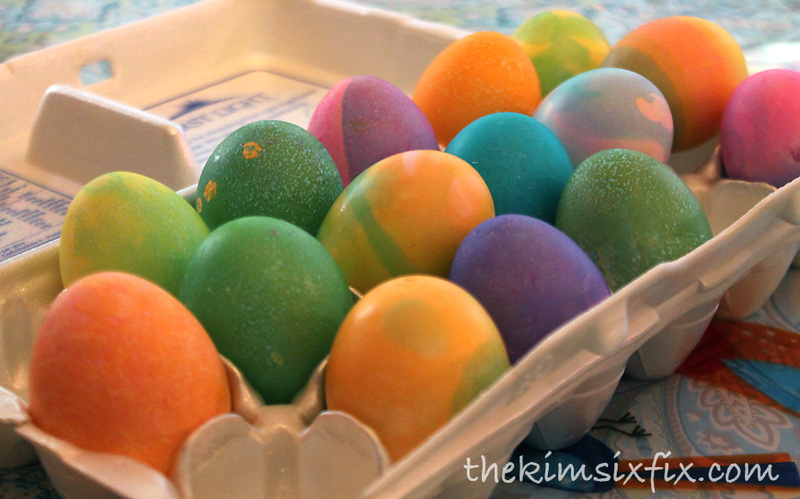 We did dye eggs and are expecting a visit from the Easter bunny, but I didn't decorate the house. Honestly, things have been crazy here and I feel bad that I haven't posted in a while. 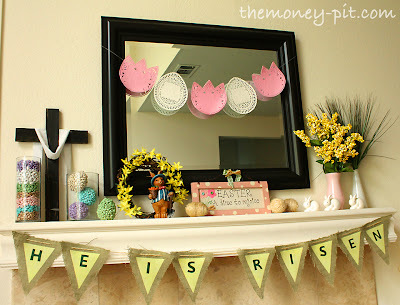 ** So instead of continuing the blog silence, I thought I would feature some of my favorite previous Easter projects. 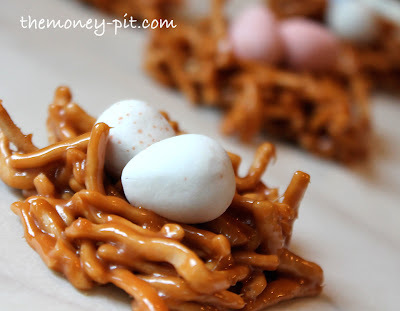 These Salted Caramel Birds' Nest Cookies have been a big hit on Pinterest. The eggs came out pretty cute even if they aren't Pinterest worthy! 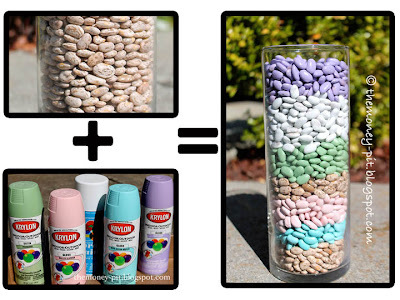 And the most important part is that it still feels a lot like Easter! I hope you have a wonderful one! It has been a while since I have had a new post. But life has thrown me for a loop. Really, this pregnancy has thrown me. For some reason, my third pregnancy has been filled with time-sucking, irritating, frustrating, disgusting and bizarre complications that I have never experienced with my first two. I have spent more time in doctor's offices in the past month, then the last few years combined. 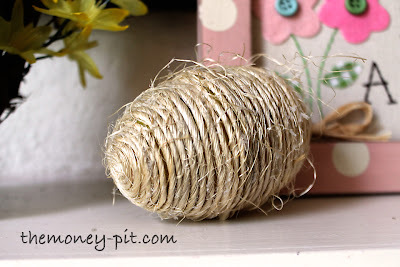 Combine that with spring break, and the fact I want to spend as much time with my girls before they are bombarded with an attention-grabbing newborn means I have stepped away from the DIY projects, and my blog, for the time being. We expect this new baby to arrive by the end of this month (OH MY GOSH!) and it is just sinking in. I hope my regular readers will bear with me, and any newbies to TheKimSixFix will understand this isn't my typical pattern. The blog is still alive.. it is just on a temporary per-maternity break! 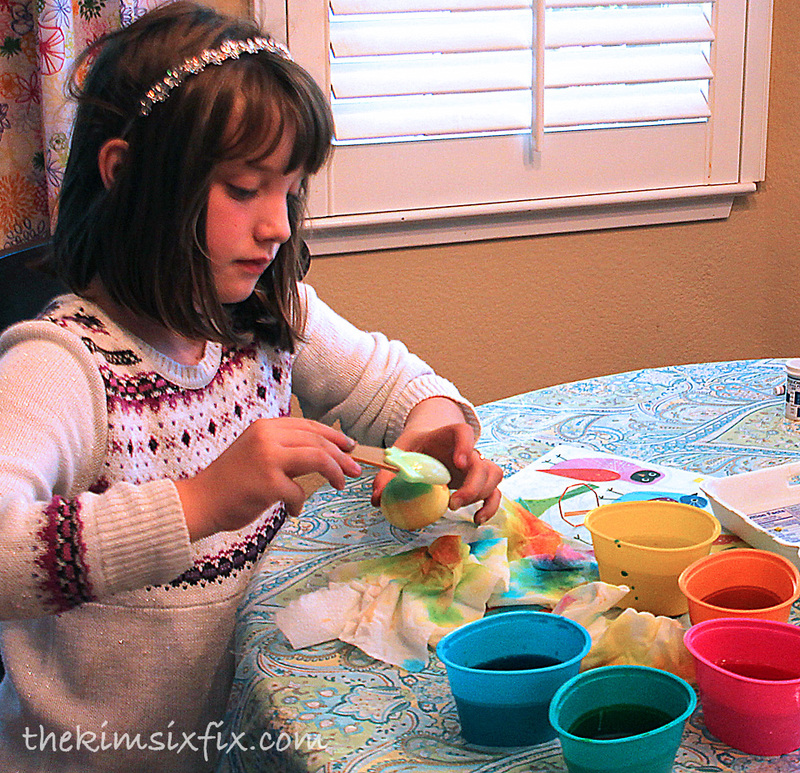 Love all the ideas - we did dollar store dye kits too :) so sorry about all the pregnancy issues. Hopefully you'll feel better once the baby comes. Anyone who has EVER had a baby understands what you're going through. Each pregnancy is different. Even though both of mine were over 30 yrs ago, I remember them as though they were yesterday. They both were as different as night and day - a girl first, then a boy. They still are that different from each other, even their personalities. We'll keep you in our prayers! Sorry to hear you're having such a time with this pregnancy. Time spent in doctor's offices can be a real pain, but thank goodness your doctors are keeping on top of whatever complications you're experiencing. While I will miss your posts, please know you have your priorities in the right order. I'll still check back frequently and look forward to "meeting" your best DIY project, your new baby, sometime next month. In the meantime, take care of yourself and enjoy this time with your two kidlets.